For the 2018/19 year, the International Committee will again be supporting humanitarian projects throughout our local Asia / Pacific region as well as a long standing projects in Nepal and Uganda. The committees focus is on building strong and lasting links with a number of non-government organisations (NGO) that provide access to education and healthcare for children, their families and local communities. Our two club projects that we continue to provide financial support to are the Australian Himalayan Foundation in Nepal and the Tender Foot Self Help School in Kangemi, Kenya. 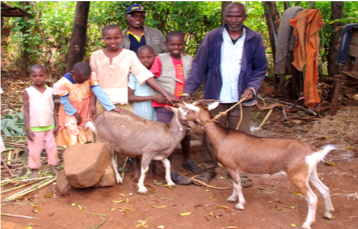 This wonderful project initiated by Wilma Best of Healesville Rotary is transforming lives – feeding children and improving the health and well-being of villagers in Kariakoma, Kenya. The project provides pedigree Friesian heifers-in-calf for the Primary School compound, thus milk is fed to needy and orphaned Day Primary School children and other orphans boarding in the compound. Unless we eradicate polio, within 10 years we could see as many as 200,000 new cases each year, all over the world. The disease is endemic in only 3 countries, but unless we reach every child with the vaccine, no child anywhere is safe. The money has gone towards the construction of toilets and to provide hygiene and maintenance programs in India with the special aim of improving the educational opportunities for adolescent girls. The students attending the schools selected for the project will be the direct beneficiaries. There are approximately 2700 students studying in 11 government schools out of which 1,302 are girl students. The program will bring far reaching benefits to over 2,700 families (around 10,000 people) living in different communities around the targeted schools leading to the elimination of practice of open defecation thereby reducing theincidence of water and sanitation-related diseases as the children sensitized at the schools will take good hygiene habits and practices to their homes. The three communities of Mausoromata, Quiorema and Manumera are listed as areas of urgent priority for WASH intervention due to the high incidence of diarrhoea resulting in infant mortality and childhood stunting. Consequently, school attendance is poor and therefore education also suffers. The project will affect 1,200 people, including approximately 460 children, by providing safe, reliable water for drinking and hand washing and will be complemented by further work being done by Plan International to improve the sanitation aspects of these communities. According to United Nations World Health estimates, wheelchairs are desperately needed around the world for millions of severely disabled children throughout under-resourced countries of the world. Wheelchairs for Kids is an organisation whose mission is to manufacture and distribute wheelchairs to some of these children assisting them with the means to raise them off the ground from where they are presently confined, and gain a new level of freedom and mobility. 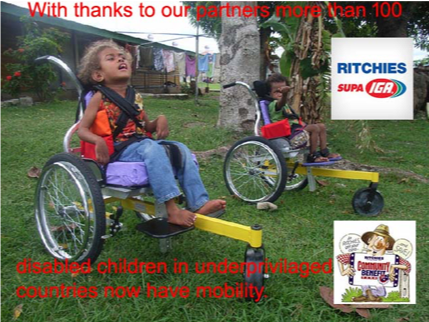 For every $200 donated a child gains a new wheelchair giving him or her this new experience of freedom of mobility for the first time in their life, and often easing the burden for personal carers. Tender Foot Self Help School was founded in 1996 by Esther Wamai, a former teacher at Mama Ngina Children’s Home. Ray Adams, a member of the Rotary Club of Emerald & District decided to begin a student sponsorship program in 2002. 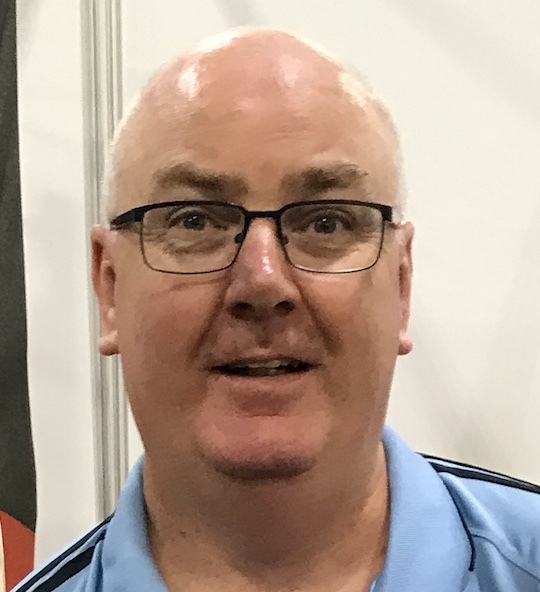 In 2013 Ray’s son, Greg Adams, a member of the Rotary Club of Diamond Creek took over the role of the sponsorship program administrator. Our Club continues to sponsor children in Rays name. This year there are 90 students in the sponsorship program whose parent(s) or carer are unable to pay the school fees. Our donation will enable 2 children to continue to receive food, clothing and an education to ensure a meaningful, brighter future and to support the school’s future development. $1000 In memory of our well respected and much loved past member the late Alfred (Greg) Gregory, we have donated $1000 to the Australian Himalayan Foundation. 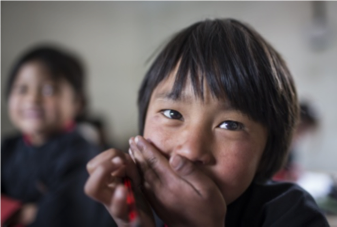 The foundation works in partnership with the people of the remote Himalaya to improve living standards through better education and training, improved health services and environmental sustainability. They strive to work with local communities in a long term, sustainable way. Influencing policy makers when considering the rights of children and adults held against their will. Engaging Rotarians world-wide through Rotary’s social and other networks. Many thanks to the members of our committee and the excellent fundraising of the club. I feel we can be proud of our donations to international good causes this year and be confident that we have all made a difference to the lives of many less fortunate than ourselves.